One of the industry’s fastest-growing independent publishing companies, AfterShock, is gearing up audiences for a ‘dangerous’ year of reading in 2019. The publisher’s new slogan, ‘Read Dangerously’, will be supported by a robust marketing campaign, that will serve as a rally cry advertising initiative to keep readers engaged throughout the year. Over the past few years, having produced such fan-favorite books like Animosity, Dark Ark and A Walk Through Hell, the publisher will look to push the envelope this year with upcoming projects from bright new creative teams, on series like Stronghold, Horde and Oberon. 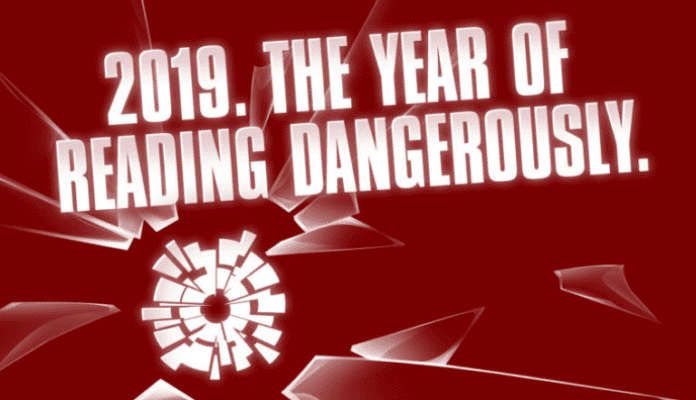 Click HERE for the official release on AfterShock’s The Year of Reading Dangerously. The publisher has also announced its 2019 addition to Free Comic Book Day. More HERE.